This was a fantatic place. Friendly people and very friendly staff on site. The rental agent came through for us again. Five star service from Judy and her staff.i would highly reccomend them to anyone. Dear Ron, thank you so much for your review ! I am truly happy to know that you had a great time at Sueno Real - F2 and enjoyed the property that much. It was a real pleasure to have you around and participating to our Happy Hours. Looking forward to host you next year! Sincerely, Cathy Bergamo & Your Friends at My Huatulco Vacation. Had a wonderful time, the renters ans owners were friendly and very helpfull. Nowhere to sit comfortably to watch the tv. Compact suite. Very firm bed. Nice bathroom and kitchen. Excellent staff. Very helpful. Dear Larry, Thank you for taking the time to review your stay at Sueno Real F2! I'm glad to hear that you found the condo to be well maintained and that you enjoyed your stay!!. 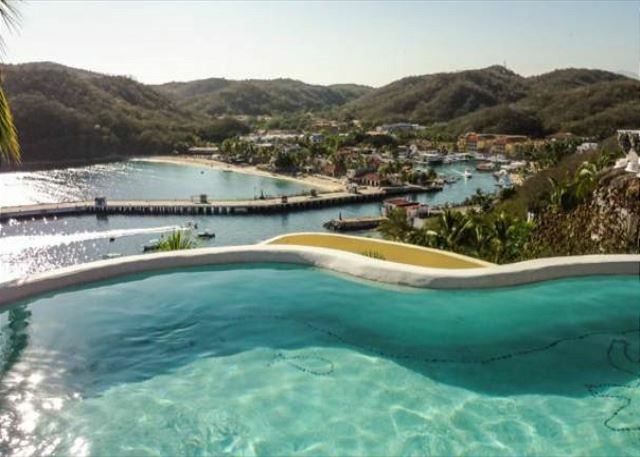 Regarding the size of the space, you may be happy to learn that we have 2 two-bedroom condos as well as a four-bedroom villa, all located in Sueno Real, in the event that you would like to return with a larger group. That said, this condo is extremely popular among couples due to it's price-point, privacy, location, and unbelievable views from the shared pool...just 20 steps away! We passed along to the owner your comment about the fact that there is no comfortable place to sit to watch TV. With that said, we want to thank you again for taking the time to provide us with your feedback and we look forward to hopefully having the opportunity to host you again in the future! Sincerely, Cathy Bergamo & Your friends at My Huatulco Vacation! A week in Condo F2 was definitely not long enough! From the lovely sunrises, the birds, the sound of the surf, and the ocean views, a week was not long enough. 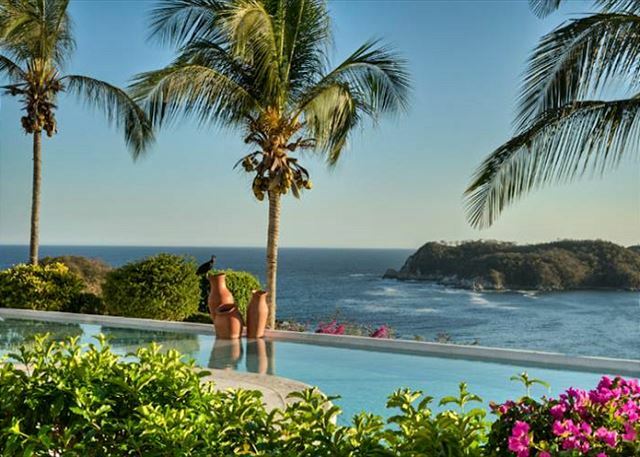 Combine that with the great staff at Sueno Real and the fabulous group at My Huatulco Vacation and I had everything I could ever want. Condo F2 is on the "quiet side" of the complex--not facing the beaches and harbour of Santa Cruz which I really appreciated. I was surprised at first that there was not a dining table but the lovely chairs on the terrace or the comfy living room seating or simply standing at the tall kitchen counter were even better! As a writer I was also very happy to have the desk with a view. Spacious bathroom, very comfy king-sized bed, quiet air con in the bedroom for at night, and a lovely breeze through all day long. Sueno Real is a friendly "community" and I felt welcomed in immediately! The pool is fabulous with its view looking down on the harbour. I can't say enough about the team at My Huatulco Vacation. With a few last minute adjustments needing to be made, they were able to keep things on track in their friendly professional way. In fact, am already exploring options for my next stay! It was a lovely view from the beautiful pool, everything was well maintained, I was just a little disappointed in the size and location of our condo. It was a smaller than I had hoped with very little view. But the pool was wonderful and friendly staff with great security. Hi Georgette, Thank you for taking the time to review your stay at Condo 2027! I'm glad to hear that you found the condo to be well maintained and that you enjoyed your stay!!. 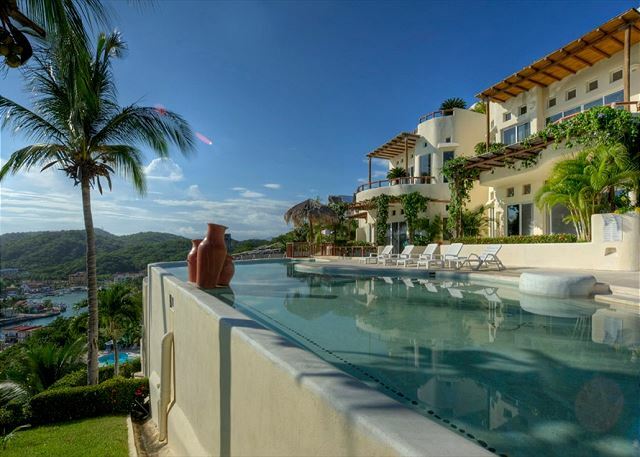 Regarding the size of the space, you may be happy to learn that we have 2 two-bedroom condos as well as a four-bedroom villa, all located in Sueno Real, in the event that you would like to return with a larger group. That said, this condo is extremely popular among couples due to it's price-point, privacy, location, and unbelievable views from the shared pool...just 20 steps away! With that said, we want to thank you again for taking the time to provide us with your feedback and we look forward to hopefully having the opportunity to host you again in the future! 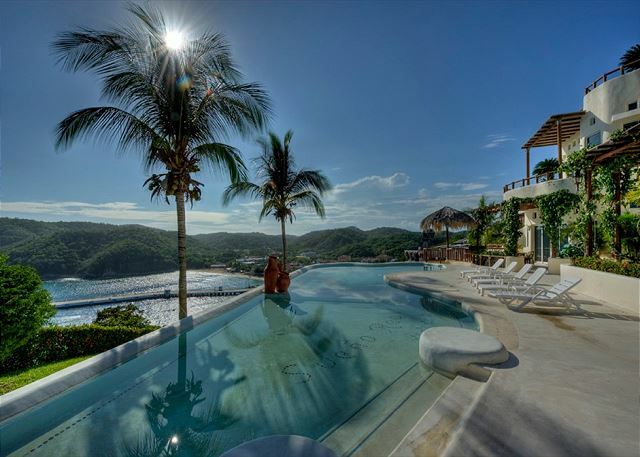 Sincerely, Your friends at My Huatulco Vacation! 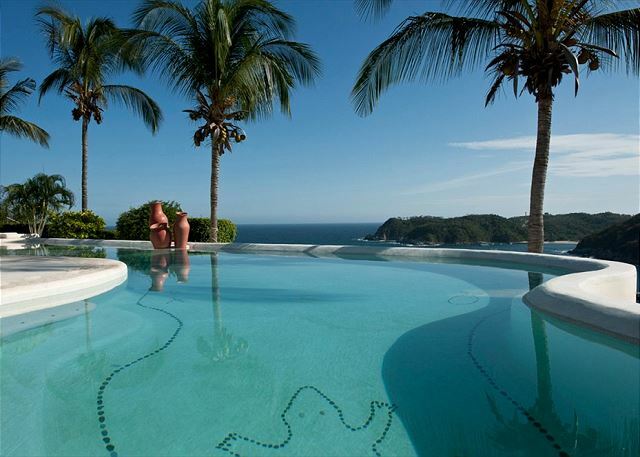 Huatulco, Mexico. The views overlooking Santa Cruz harbor are breathtaking! The condo, although small was adequate for the two of us! The staff was welcoming and attentive. The location was very conveinent to many things! Spectacular is the word to describe the view from the condo complex, the quality of the maintenance, the security, the people associated with Sueno Real. There is a full time property manager, maintenance person, maids, landscape and security people. All of them respond to any need that you may have. If you rent F2, be aware there is no eating table. We used the coffee table and it worked. Other than that, it was great - clean and had everything to make our stay comfortable.